Thank you for stopping by. 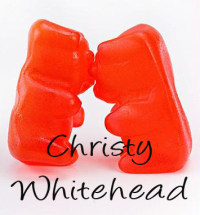 All cards feature photography by Christy Whitehead, an award winning writer and photographer in Jacksonville, Florida. About Me: Writer, photographer and all together crafty person. I live in Jacksonville, Fla with my husband, our daughter, lab, a tuxedo cat, and a ton of chickens and ducks. » Thank you for visiting, more stuff is added all the time! If you are a photography client and would like your child, family, etc to appear on a card please let me know. Welcome to GCU. Your cards are lovely and very unique. You are one of the most creative people I know! Such great work!! Welcome to GCU. I saw your lovely baby card in the new cards and had to see your store. Your baby cards are just fabulous. Can't wait to see more of them. My favorite is I love you almost as much as candy!